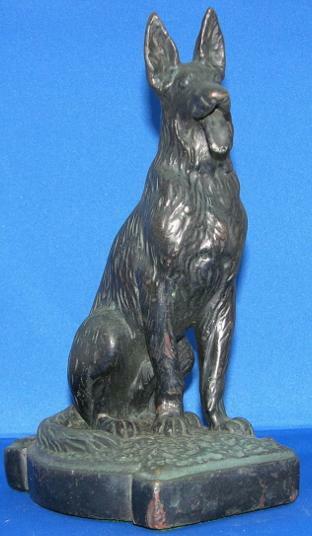 “German Shepherd” (Sitting) – Gotham Art Bronze, (for Galvano Bronze) circa 1930, bronze-clad, 8-3/4” high x 5” wide. 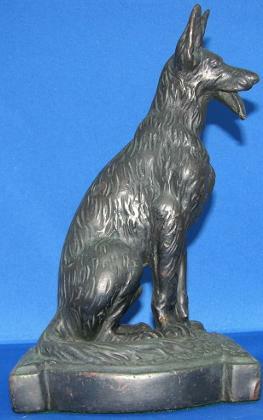 Original dark finish, wonderful detail. Company paper tag missing. Collectors Encyclopedia of Bookends’ Rarity Rating 5.